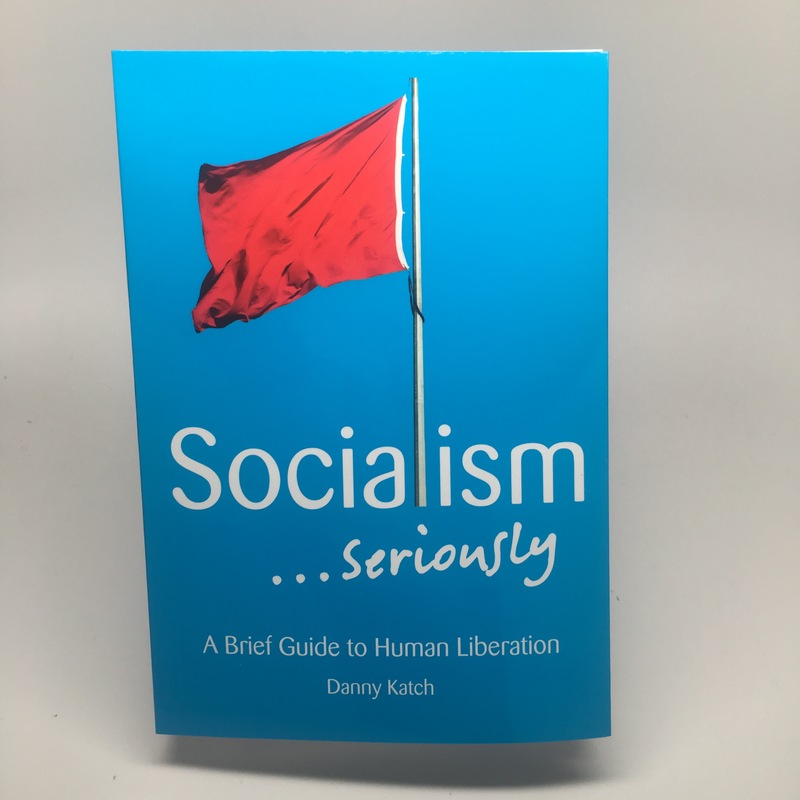 Danny Katch, author of Socialism... Seriously: A Brief Guide to Human Liberation, on why he wrote the book, what's in it, and why you should give it to all your neighbors, friends, and cousins for the Holidays. The Bernie Sanders campaign and numerous polls show that there are millions of people-especially but not limited to those under 30—who identify with socialism. But I know from 20 years of experience as a socialist organizer that most of them only have a vague sense of what socialism actually is. I wrote Socialism… Seriously to be an enjoyable introduction to the main ideas and history of the socialist movement that people could give to that co-worker or cousin who always is interested in left wing politics but doesn’t have a basic foundation. People have told me they gave it to friends who would normally never read a political book because the jokes are like sugar that helps make the serious ideas go down. I’m glad to hear it but I also think the jokes and the serious ideas are one and the same: capitalism isn’t just an oppressive and unjust system, it’s a ridiculous contraption that doesn’t make any sense in a hundred different ways once you realize it’s not inevitable. The book’s title has a double meaning. On the one hand, I say “seriously” in the humble comedic sense because socialism has been so marginalized in recent years (and remember I started writing the book before the Bernie Sanders campaign.) But I’m also saying that I’m dead serious and confident about these ideas and I think you should be too. I think the book maintains both of those tones throughout, which is important when you’re going back and forth between the revolutionary potential of socialism and and the far different reality that we all face when we put down the book. Even though it’s an introductory book, it’s not limited to the low hanging fruit aspects of socialism that are most acceptable in polite society: universal health care, taxing the rich, etc. It gets into why unfashionable concepts like the working class and revolution are still relevant in the 21st century, even as it acknowledges just why they’ve become so unfashionable even on the radical left. This holiday season is going to be rough for a lot of lefties spending time with their conservative relatives. Just remember that the best way to stick it to your Trump-loving uncle isn’t to get into endless screaming matches with him. It’s to turn his kid into a socialist. You’re welcome. Get Socialism... Seriously for 50% OFF through January 3rd. Browse Haymarket's Socialism and Marxism Bookshelf.